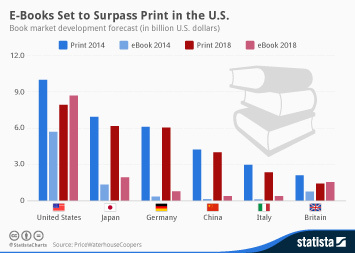 The U.S. eBook market will surpass the printed book market in 2017. 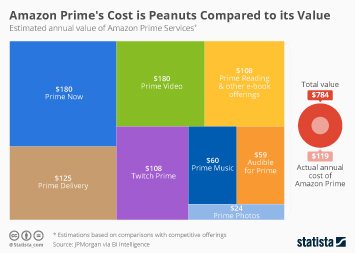 That's according to a projection by PwC (PricewaterhouseCoopers), who published its annual "Entertainment & Media Outlook" this week. 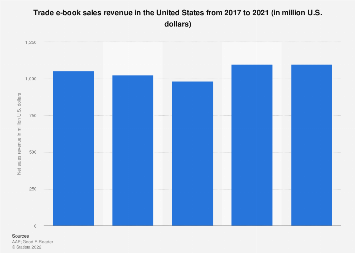 PwC estimates that trade eBooks (excluding educational publications) will reach $8.2 billion in sales by 2017 to surpass printed book sales, which are expected to fall from $11.9 billion in 2012 to $7.9 billion in 2017. 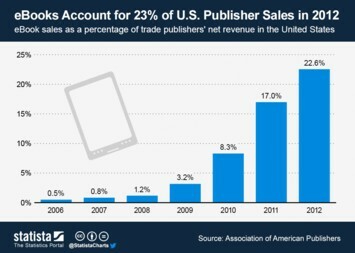 Overall book sales are expected to stay below their 2008 level, as eBook sales fail to fully offset the decline in printed book sales. 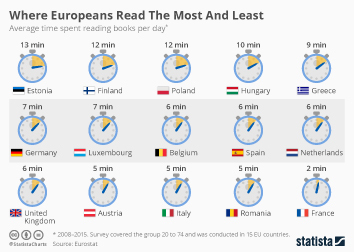 Does this mean we are reading less? Probably not! 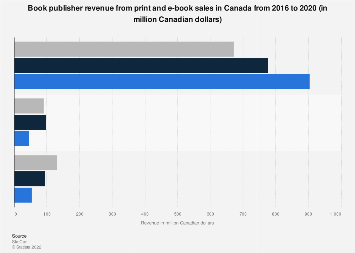 Even if book sales remained unchanged in terms of units, the shift to eBooks would lead to a decline in dollar sales, as the average selling price for eBooks is lower than it is for printed books. 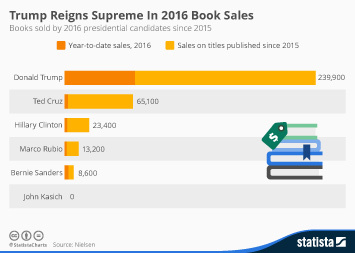 This chart shows estimated consumer book sales in the United States from 2008 through 2017. 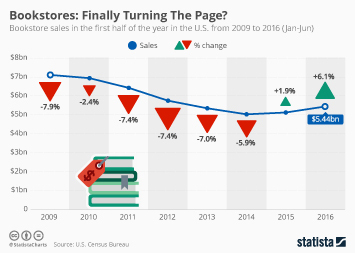 Are U.S. Bookstores Finally Turning The Page?